Coryell has eight years of experience across business strategy and operations in emerging markets. Prior to joining Accion, Coryell advised early-stage, East African-based hardware companies on their manufacturing, distribution, and go-to-market strategies. Previously, she was the COO at One Degree Solar, where she founded the Kenya office, expanded operations across East Africa, and oversaw the launch of 4 new products in 13 markets. She was also COO at Generation Enterprise, a business incubator for youth entrepreneurs in Nigeria, and worked on microfinance initiatives for CARE International and Plan International in Ghana and The Jaipur Rugs Foundation in India. 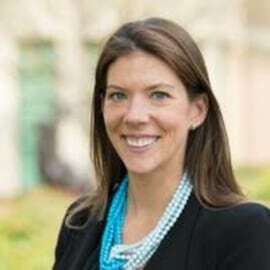 Additionally, Coryell brings consulting experience from her time at the Foundation Management Group, during which she advised award-winning nonprofits on board governance and donor management, as well as the Corporate Executive Board, where she worked with Fortune 500 companies on customer service and retention strategies. Coryell holds a Bachelor of Arts in Political Science and African Studies Minor from the University of Pennsylvania and a Graduate Certificate in Social Enterprise and Impact Investing from the Monterey Institute of International Studies.